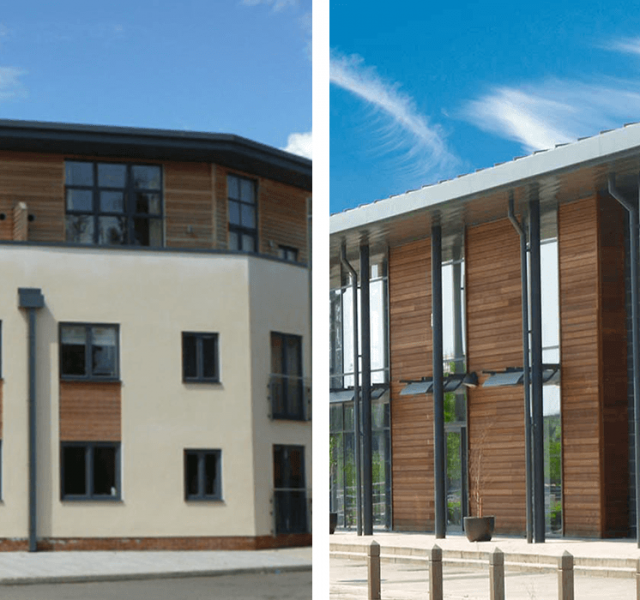 Diglis Water Development – ONGOING SINCE 2006! The Diglis Water development spans 8 hectares and comprises new homes, including affordable housing, private homes and refurbished homes. 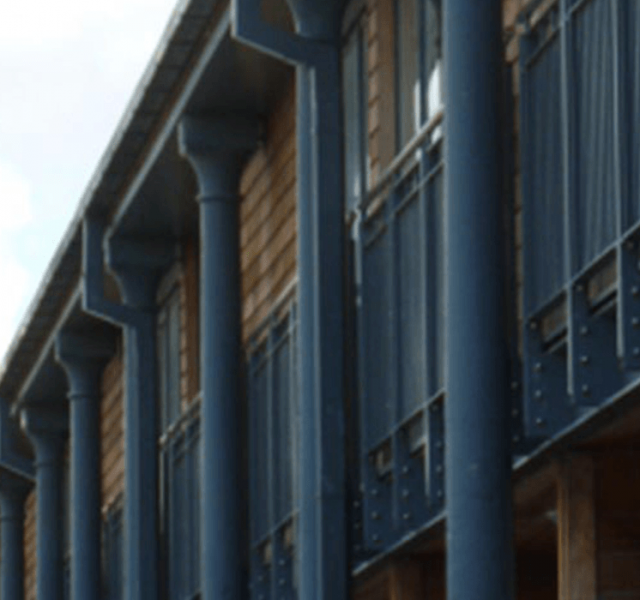 It sits on the banks of the River Severn at its junction with Birmingham and Worcester Canal and is designed to make the most of the waterside environment. As part of the development – a flood compensation area (designed to deliberately flood to protect other areas) acts as a waterfront park with landscaping and a floating pontoon for residents to use and enjoy. On an extensive project, such as this, there are many sub-contractors involved. 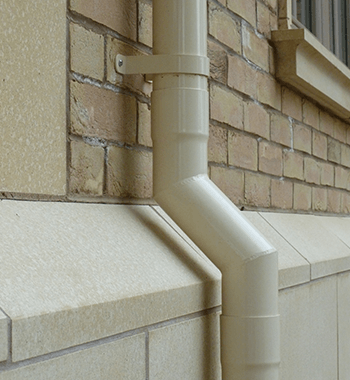 However, as sole supplier of aluminium downpipes and hoppers to the project since the start of the development, ARP’s commitment to quality has ensured that the supply of Colonnade Aluminium rainwater pipes has remained consistently high. Nigel Hancock, ARP’s Regional Account Manager has made regular visits to site to ensure site measures are accurate and ARP are able to produce the products in good time for fitting on site. Aluminium is the ideal material for this project as it is light-weight, durable and easy to install. 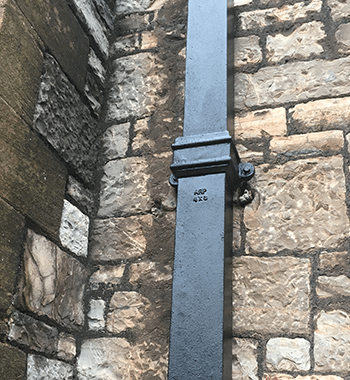 The downpipes are polyester powder coated (PPC) in-house on ARP’s PPC line before being delivered on site for installation, giving them a long-lasting finish that will remain in place for an expected life span of 30 years. 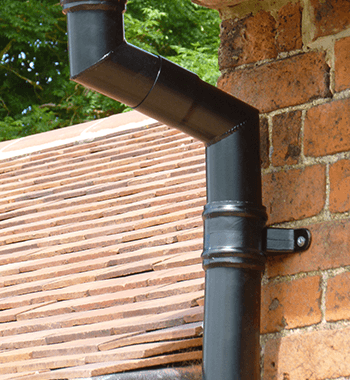 With little maintenance, these downpipes and hoppers will provide a truly ‘fit and forget’ system. 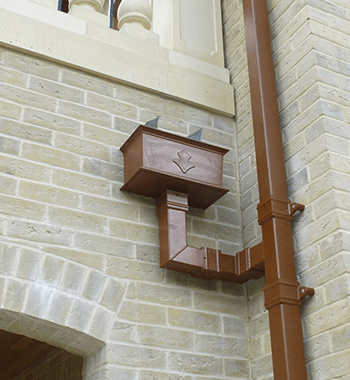 Made from recycled aluminium, these downpipes and hoppers are non-corrosive and fully recyclable and will maintain their aesthetics for years to come.